Smart light bulbs—LED-based bulbs that can be controlled by a hub or smartphone app—are no longer a new idea. What is new is how far this technology has come since its advent just a few years ago. Also new: Products like the Nanoleaf Aurora—a system of interlocking LED panels that let you decorate with light—fundamentally change the light-bulb concept. Updated April 16, 2019 to add our reviews of three new smart bulbs from TP-Link. 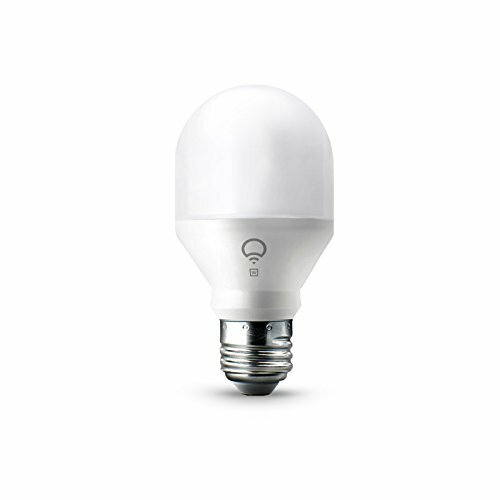 The TP-Link Kasa Smart KL series includes a great color LED smart bulb—the KL130—that earned an Editor’s Choice recommendation, a fixed-white dimmable bulb that’s almost as good, and a run-of-the-mill tunable-white but relatively inexpensive tunable white bulb. None of these new bulbs proved strong enough to displace any of our current top picks. With their rainbow of hues and myriad party tricks, color LEDs get all the press in the world of smart lighting. It’s fun stuff, but the reality is that most of us will rarely find much of a need to turn all the lights in the house blue or red—unless it’s time to celebrate our team winning the World Series. Even then, you’ll probably want to turn them all back to white after the celebration. White light is also important in its own right, as today there is plenty of science to show how various shades of white—with variations in color temperature—impact our psychological state. Cool light that’s closer to blue has an energizing effect, and is best in the morning. Warm light is relaxing, and is best after the sun goes down. White smart bulbs downplay the party features that are a staple of color-tunable bulbs. On the other hand, white smart bulbs are less expensive than color bulbs, making it more affordable to roll them out in multiple rooms. We’ve tested just about every color and white LED smart bulb on the market. You’ll find links to all our reviews at the bottom of the page, and we’ll update this story as new models are introduced. Philips was one of the first players in this market, and the company’s experience shows. Its Hue color ambiance bulbs haven’t changed much since their introduction in late 2012, but the new bulbs last a lot longer and the company continues to add new shapes, sizes, and accessories to its lineup. The Hue app has also improved significantly, and Hue bulbs are available in a broad range of form factors, including BR30, PAR, GU10, and A19 in addition to stand-alone devices like the Philips Hue Phoenix. Philips has recently introduced a number of outdoor fixtures as well, including the Philips Hue Calla pathway light and the Philips Hue Lily outdoor spotlight, both of which we liked very much. 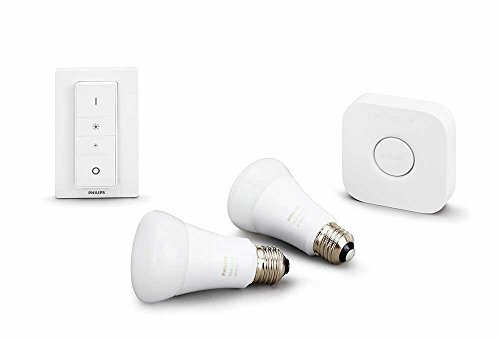 Note: The price shown above is for a three-bulb starter kit that includes the required Philips Hue Bridge. Additional bulbs cost $49.99 each. Yes, we did award the LIFX 19 a higher score than the Philips Hue. 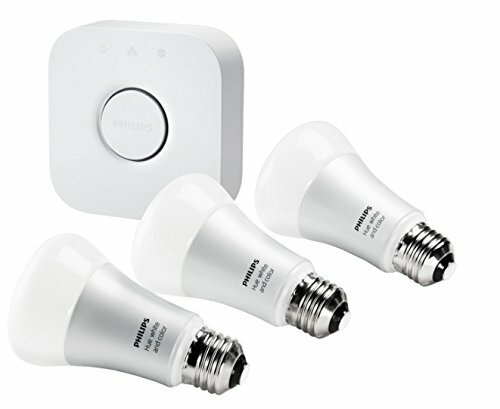 Philips earned its “best” nod by virtue of the Hue system’s broad collection of styles and its numerous compatible accessories. LIFX no longer has just A19 and BR30 form factors to offer, and we really like its unique LIFX+ (which has an array of infrared LEDs that will help your home security camera see in the dark), but Philips still delivers even more diversity. The latest white-only bulb from Philips offers easy access to various color temperatures, and it looks good no matter which type of light you choose. Our choice won’t surprise anyone who’s been following this market. Philips dominates the smart bulb market, and is also our top pick for best color LED smart bulb. The latest Hue bulbs deliver high-quality light, last for tens of thousands of hours, and are backed by a strong warranty. And while it would be easy for Philips to sit back and expect the industry to conform to it as the de facto standard, it has instead worked hard to ensure its products are compatible with other technologies, including Amazon’s Echo and Google’s Google Home. Plus, Philips Hue bulbs are available in more form factors than any other manufacturer, including the ubiquitous A19 (the most common), BR (bulged reflector), PAR (parabolic reflector), GU (glass reflector with a U-shaped, dual-pin base), and a host of specialty shapes and sizes. If you want a smart white-only bulb that doesn’t require a smart home hub, the LIFX Mini White is a great choice. 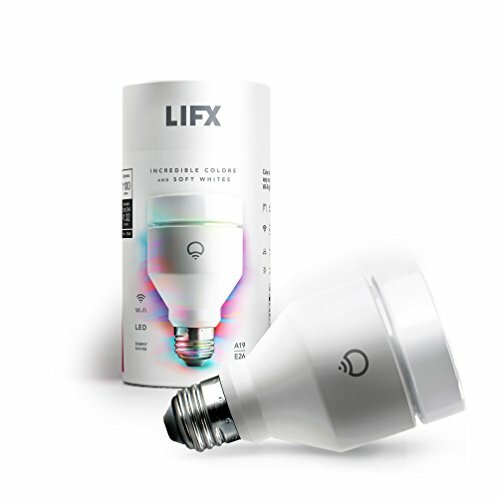 While it’s slightly dimmer than the full-size LIFX bulb, it produces a 60-watt-equivalent 800 lumens. Tweak your bulb’s color temperature through three settings by simply cycling it on and off. We debated including any of Feit Electric’s Intellibulbs in this category, because they technically don’t fit our definition of a smart bulb. They don’t have Wi-Fi, ZigBee, or even Bluetooth radios, so they can’t be controlled via an app, and they can’t be scheduled or incorporated into a broader smart home system in a meaningful way. Heck, we weren’t even impressed with many of them as light bulbs to begin with. But for those who just want a simple means of changing of changing the color temperature of the light in a room, the Intellibulb ColorChoice is an ingeniously simple solution. This color smart bulb enhances the night vision of your security cameras through infrared LEDs, even when it’s turned off. Most home security cameras are equipped with infrared LEDs to deliver a semblance of night vision. the LIFX+ is equipped with infrared LEDs of its own, which are active even when the bulb is turned off via software. Infrared light is invisible to the naked eye, but the LIFX+ can bathe a room in it so that your security camera can see more of the room and in more detail than it can with its own infrared LEDs. Three control technologies continue to vie for leadership in the smart bulb market (Z-Wave is a major contender in smart lighting, but you won’t encounter it in bulbs—just in switches, plug-in modules, control panels, and smart-home hubs). ZigBee: Bulbs that use the popular smart-home networking protocol require a bridge to communicate with your home Wi-Fi network. This is the technology Philips has adopted for its Hue lineup, but it’s not the only one. Wi-Fi: This class of bulb talks directly to your Wi-Fi router, no hub or bridge required. 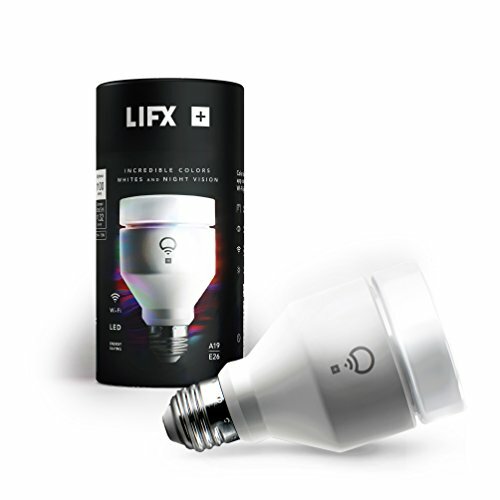 LIFX is the only major vendor marketing color Wi-Fi bulbs today. Bluetooth: These bulbs skip your home network altogether and pair directly with your smartphone or tablet. As such, they can’t be controlled from outside your home. GE and a number of other manufacturers make Bluetooth bulbs, some of better quality than others. 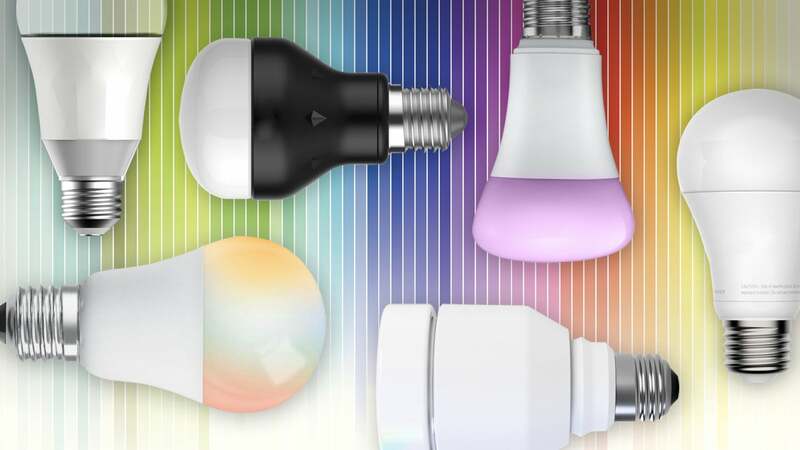 Each of these technologies has pros and cons, so before you attempt to settle on a specific bulb, first try to determine which tech is right for you. If you want to hook your bulbs into a broader smart-home system—such as SmartThings or Nest—Bluetooth bulbs are out. You can control more than one bulb with your phone, but you can’t connect it to sensors or other systems inside your home. Don’t like the idea of pairing a bulb to your phone? A Wi-Fi bulb will work best for you, though you won’t have quite as many options as you’ll find with a ZigBee product. There’s a significant argument about the best way to install smart lighting, and two approaches present themselves. You can either go with expensive smart bulbs and control them all individually, or you can use cheap dumb bulbs and install smart switches to control all the lights on that circuit. Both approaches make sense: With smart bulbs, the biggest issue is cost, but there’s also complexity to deal with. While bulbs can usually be grouped based on location, this is only as intuitive to manage as the bulb control app. 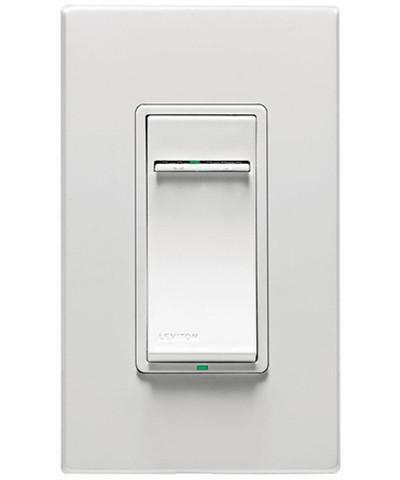 A smart dimmer switch on the wall, such as this Leviton model, makes more sense than smart light bulbs in some cases. Smart switches, on the other hand, are far more complicated to install—to the point where some users might be uncomfortable dealing with exposed wiring and would prefer to hire an electrician. 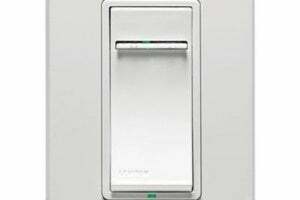 Smart switches, however, provide more flexibility in many installations. Habituated from years of flipping hard-wired switches, many users (or their children) will instinctively use the wall switch to turn the lights out when they leave a room. Once that happens, all the apps in the world won’t be able to turn the light back on until the switch is returned to the on position. While this won’t be an issue if you install smart switches, they can’t change a bulb’s color or color temperature. That said, smart bulbs, no matter what the technology, still won’t be right for everyone. Notably, most of these bulbs cannot be dimmed via a hardwired wall switch (it messes with the power going to the radio, rendering them useless). Some will fail even if a dimmer is present on the circuit and dialed up to full power. And while today’s bulbs are brighter than ever, they’re still dim by “dumb” bulb standards. But the quality of light from an LED bulb is likely to be much, much better. The good news is that bulb prices are going down, so it’s easier to get started with smart bulbs and less punishing should you find that a product doesn’t work for you. That said, we want to get you started on the right foot. So without further ado, here are deep dives into the most worthwhile color and white LED smart bulbs on the market. The Philips Hue Outdoor Motion Sensor is a must-have accessory for homeowners using Philips Hue smart lighting products. These retrofit units can be tricky to install, but they’re worth it as an upgrade for both cosmetics and lighting intelligence. GE looks to the past to build the most beautiful modern LED bulbs on the market. What the Nanoleaf Aurora lacks in utility it more than makes up for in pure enjoyment. The Aurora Rhythm adds music visualization to the Aurora lighting system, upping the fun of a lighting system already built for it. How about some integrated speakers next? Signify’s Philips Hue Lily landscape lighting is unquestionably expensive, but the high-quality design and construction of these luminaires, the software that comes with them, and the depth of the entire product line justifies the cost. Sengled’s inclusion of a physical switch directly on its ZigBee-compatible bulb is a genius idea, but its engineering needs a do-over. ilumi’s revamped bulb is a step up from last year’s model, but it still doesn’t match the best bulbs on the market.